The rehabilitation* of disturbed land, especially in an urban environment, can add so much value to the users of the site. Think Central Park in New York. It need not be on that scale, but it can add the same quality of life. Figure 1. Undeveloped area between two housing complexes. 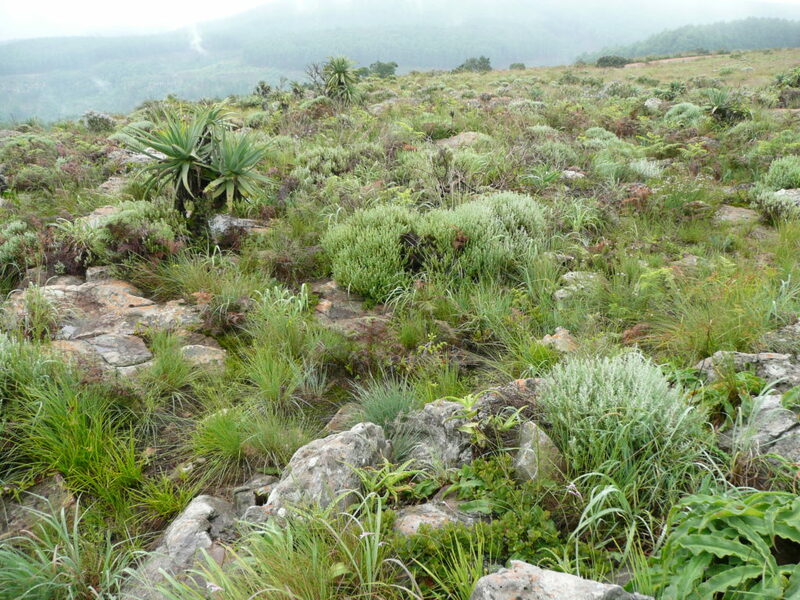 It is currently overrun by Kikuyu and will require major intervention to rehabilitate. 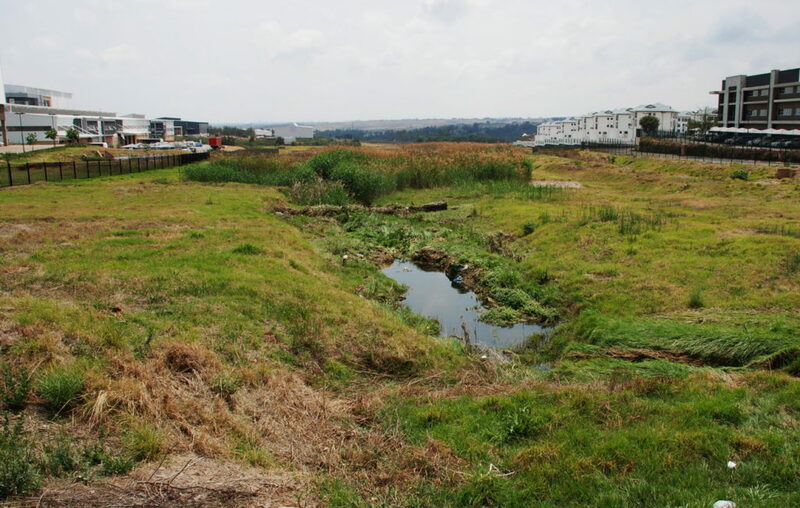 However, there seems to be a perception that “Nature heals itself” when it comes to land that has been disturbed either through construction, mining or other causes. Instead of “healing itself”, disturbed sites shift towards desertification or are invaded by aliens. When a site is evaluated for rehabilitation, it is important that all the components of a potential ecosystem, i.e. biotic and abiotic, be considered. In most cases the abiotic components cannot easily be adjusted and that implies that the biotic components be manipulated so that they complement the existing abiotic factors. The right combination of the two lead to a stable, functioning ecosystem. Fig 2. In this instance, the abiotic factors are rock outcrops, aspect and slope and that determines the biotic components. Note the clustering of plants around the rocks. One can also view rehabilitation from an angle of ecosystem services. The goods and services that an ecosystem provides are often undervalued as many of them are without a tangible market value. However, if they are destroyed, it could have huge anthropogenic and environmental impacts. In most cases, many of the above components will be present on the same site. However, the main reason why a site is restored should be the most important consideration. In an urban environment, the main category is mostly recreational and the other categories play a secondary role. However, it is important to ensure that the users should have an outdoor experience where the natural interactions can be experienced.